The Jets’ recent history of self-sabotage is already rubbing off on No. 3 overall pick Sam Darnold. Less than 15 seconds into his regular-season debut, he threw the mother of awful passes and gave Detroit, along with Matt Patricia’s beard, an early touchdown lead. One of Darnold’s biggest red flags coming out of USC was the turnover bug, earning him comparisons to another Trojan failson, Mark Sanchez, so at least the team can’t say he’s not living up to his potential. The good news for Jets fans is that his performance can only improve from here, given that he’s going up against the ever-cursed Lions, as opposed to any team that would have any idea how to take advantage of this less-than-ideal start. Fingers crossed! 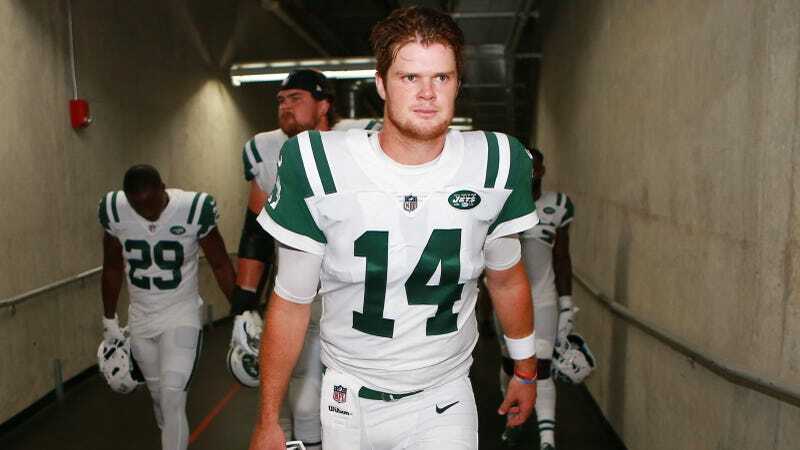 Dear The Jets: What The Hell Are You Doing With Sam Darnold?